The Video Module is a tool used for uploading videos directly to your School Loop website. This guide will show you how you can insert the tool and upload a video at the same time. 2. 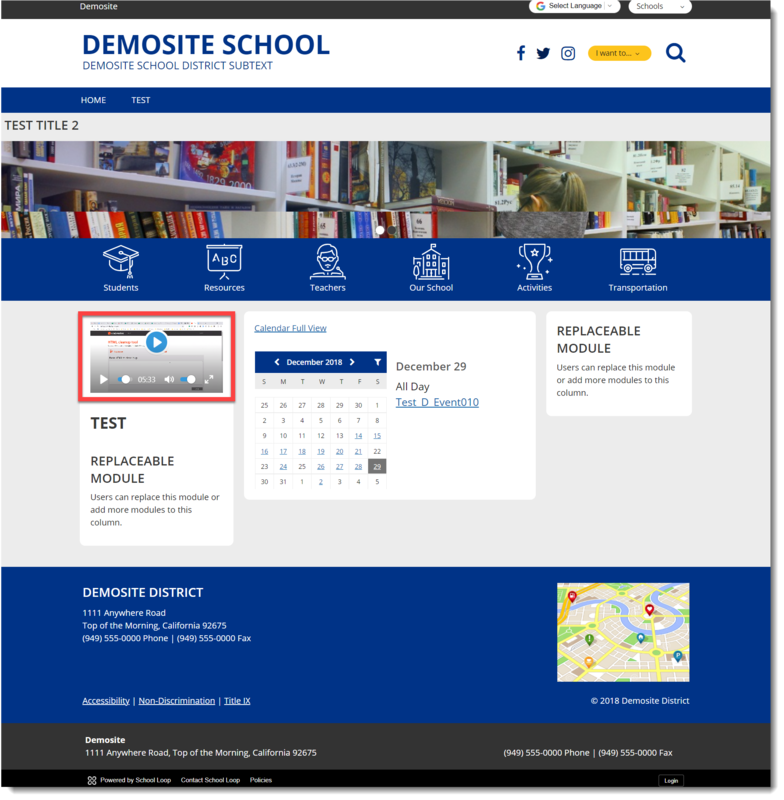 At the insert module screen, select the "Video" tile. 3. The video module will appear where you placed the module. Click the clacker to see more upload options. 5. Add a title to the Video Module if you wish, by using the title field. To keep your site 508-compliant, please do not type in all caps. 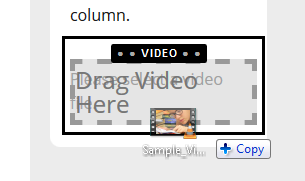 The video module title is styled to appear in all caps (it is OK). Customize the play style, using a variety of Options on the toolbar. Click Preview to test if the video uploaded will play on your website. Please note that the buffering time or any experience of delays may rely on your internet connection speed.